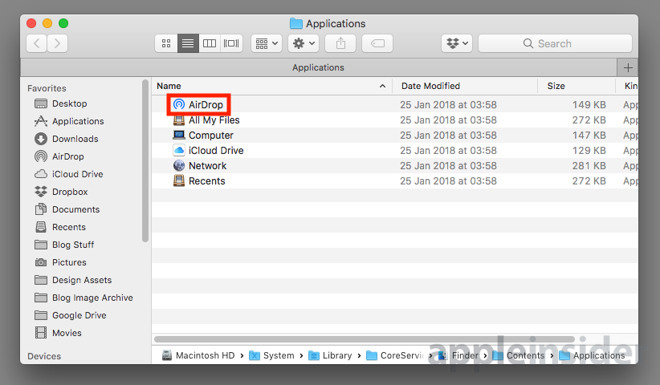 Most people who needed to share files from an iPhone or iPad to a Mac or vice versa will have heard of AirDrop, Apple's application for sending files to nearby devices. So long as both devices have Bluetooth and Wi-Fi turned on, are in range, and don't have any settings enabled to block transfers, it can be used to share photographs, videos, documents, and other files with minimal interaction. 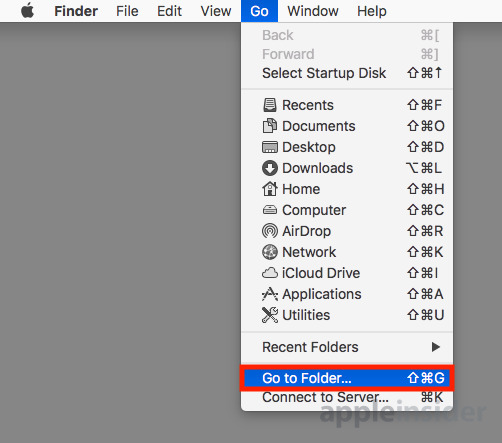 While it is available to access in the Finder in macOS, as well as through the keyboard shortcut Command-Shift-R from the desktop, asking Siri, and Spotlight queries, it is oddly not immediately able to be added to the Dock. 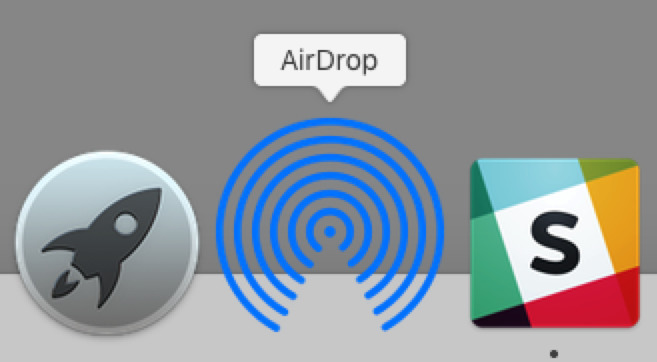 The AirDrop application is well-hidden, though not kept in the usual Applications folder. It is possible to find it, but it's not a straightforward process. Open Finder, select the Search bar, type in "Finder," and hit return to search. Make sure to select "This Mac" in the search area option near the top. Right-click the Finder icon and select Show Package Contents. 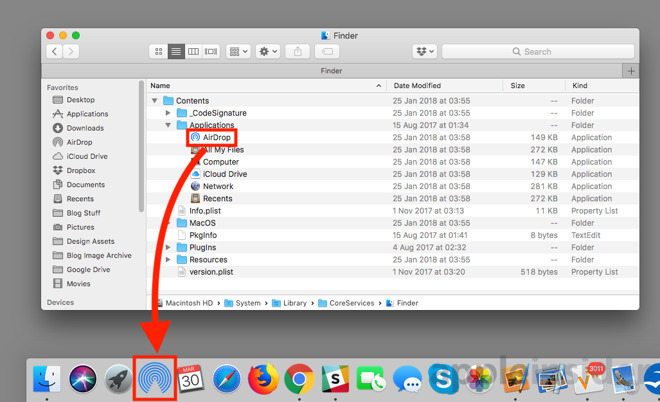 The files and folders that make up Finder become visible. Navigate through Contents and Applications to see AirDrop alongside some other apps. Lastly, drag AirDrop down to the Dock. From the desktop, select Go in the menu followed by Go to Folder. In the search box that comes up, enter "/System/Library/CoreServices/Finder.app/Contents/Applications/" and click Go. This will bring up a Finder window showing the same directory containing AirDrop as in Method 1. Again, drag AirDrop down to the Dock. Adding Finder to the Dock does make it slightly quicker to access the function if you wish to send files, but not by much. Clicking it brings up the usual Finder window for AirDrop, which effectively saves only one click by not needing to open Finder first. As a byproduct, using this method also provides a way to add iCloud Drive to the Dock. Follow the instructions as above, but instead of dragging AirDrop, drag iCloud Drive to the Dock instead. 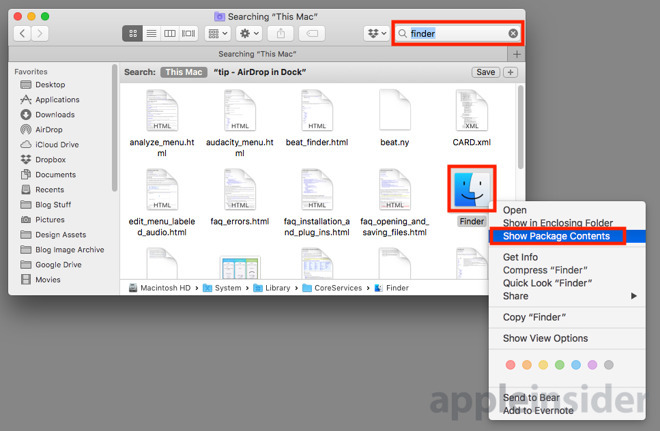 The same can be performed for other items in the folder, with each opening a Finder window displaying different items. Network brings up visible devices on the network, Computer shows your Mac's drives, and Recents and All My Files simply brings up lists of files.